When your father is addicted to drugs, it’s normal to feel resentment, anger, and frustration—especially when his actions affect you and the rest of your family in such a negative way. Whether your dad is openly abusing drugs or hiding his addiction, the health and legal risks are very real. If you’re worried about your father’s drug addiction, it’s possible to help him into recovery and renew the relationship you once had, or make a brand-new one. Some people are able to hide their addictions for a long period of time. 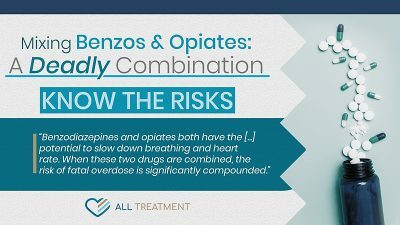 Before the drug takes over finances, personality, and observable health complications, something might seem “off” before it’s an obvious problem. Your dad may behave different than what you’re used to; he may seem more volatile, anxious, irritable, forgetful, or withdrawn from family activities, for example. He may behave secretively, seem more financially strapped, and may ask to borrow money. While these behaviors can be hurtful, it’s important to stay proactive and come up with a good plan to help your father get back on the right track. No parent wants to feel they’ve disappointed their kids, even if their drug addiction has spiraled out of control and caused a rift in the relationship. Adult children may have a tough time confronting their father’s addiction for fear of backlash or hurting their parent—but there are ways to contribute to his sobriety. Reaching out to a trusted family member for help. Voicing concerns to your dad, If he’s open about his addiction, and offering to help him search for a suitable rehab. Setting boundaries by refusing to loan money or in any way helping your dad obtain drugs. Planning and carrying out an intervention. 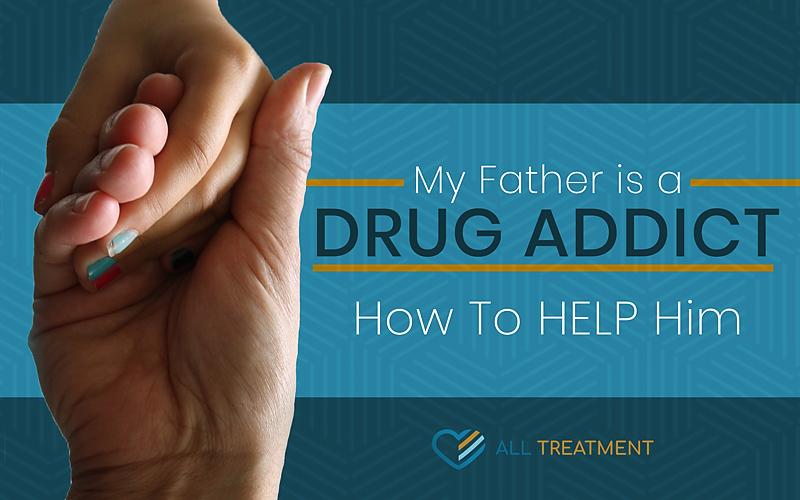 While your father’s drug addiction is not your fault, you may feel inclined to help him solve the problem. It is very possible that your dad wants to be sober but is overwhelmed with his addiction and unsure of where to begin. One way to successfully convince your dad to find the help he needs is by hosting an intervention with other loved ones. Interventions are often successful because they are both an outpouring of love and a set of clear boundaries to encourage rehab. Plan of action – Choose a time, date, location, and gather loved ones to support the intervention. Pre-planning may include finding a rehab to offer your father so that everything is in place. The interventionist will hold a meeting prior to the actual intervention to be sure that everyone is on the same page. Execution – Your dad will meet with you, your loved ones, and the interventionist to hear how his addiction has impacted them. He will hear concerns and encouragement, which may or may not be enough to convince him to seek help. Firm consequences are established, should he reject the idea of treatment, to ensure that he understands the seriousness of his addiction. Initiatives and efforts after the intervention – Whether your dad agrees to attend rehab or refuses, it’s important to follow through with any promises made during the intervention. Failing to do so will not only encourage his addiction but undermine the efforts of the intervention altogether. An intervention may seem like a role reversal, as you are insisting that your dad change his behavior. You might feel bad for confronting him, or like you’ve “ratted him out.” He may even be angry. Be consistent and insist that your dad seek help anyway. Remember that his aggression comes from addiction and embarrassment, and will subside once he has a clear head. How Can I Encourage My Dad’s Sobriety after Rehab? With the process of recovery taken as a whole, rehab is just the first step in a lifelong effort to stay sober. It’s important to communicate and continue to set boundaries while encouraging his efforts. If you’re concerned that your dad will relapse, be sure to communicate with your father and loved ones and come up with a plan of action. Preventing relapse can be as easy as monitoring stress, triggers (people, places, things, and moods associated with past drug use), and exposure to drugs. Certain medications and therapies are designed to help prevent relapse, so encourage your father to speak to a medical professional if he feels he’s in danger of relapse. Nar-Anon. A program specifically developed for family members and friends of drug addicts, Nar-Anon creates a community of people who have experienced similar things with their own loved ones. Family Behavior Therapy (FBT). FBT is a series of therapy sessions dedicated to overcoming family conflicts, including those related to addiction. There may be some things you’d like to discuss with your dad in a controlled environment, with a neutral party. This is a common option, even for adult children of addicts. Individual Counseling. One-on-one therapy can help to create an outlet for your own struggle and help you to be better equipped for the road ahead. Ultimately, it’s important to remember that your father’s drug addiction is not your fault, but you may feel responsible for helping him. Keep your own mental health in check, and remember to take care of yourself, too. If you need help finding the right course of action for your father’s drug addiction, the friendly staff at AllTreatment.com is ready to give confidential advice you need. We can provide guidance, resources, and the answers you need to get your dad on the right track. Call us today!